Don't recall exactly what I did, but based on the white wire being the output from the ECU, the positive side of capacitor should go on the white wire. Is this a permanant mod or can u changs the ECU back?? I can confirm this simple mod works. I have a had a chronic on-off p0420 cel for the last 70k. Everyone told me my cat was bad and wanted $$ to replace it. However, emissions testing the old fashion way (not just ob2 scan) always passed so I knew it wasnt a bad cat. New O2 sensor change did nothing. So I did the simple mil mod, and the p0420 is permanently gone. Car runs much better since the code makes the car go into limp mode, and I don't need to reset the ECU every damn time. No changes are made to the ecu, you are simply changing the info the ecu receives to analyze. 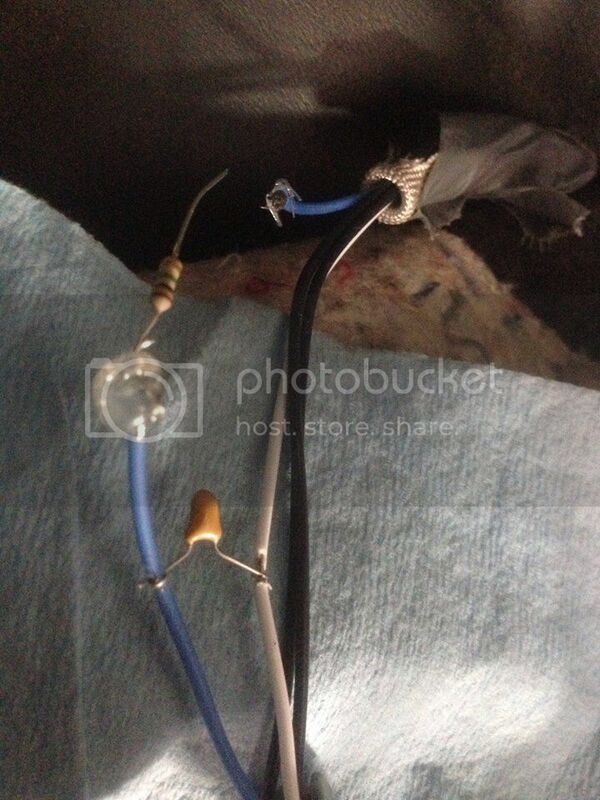 To reverse the mod you will remove the resistor and capacitor from the O2 Sensor wiring. what would i have to wire in if i were to remove the second o2 sensore from the car. ie just cut the sensor off and replace it with whatever to simulate having a cat. i would then use the bung for a wideband o2 a/f sensor instead or just plug it. Im trying to do this mod and im having trouble understanding how to bridge the blue and white wires, is the blue wire just connected to it or are we using the cap to bridge both of them together, and lastly are we leaving the black wires connected to o2 sensor. I had to use two resistors but this mod works. And your research is supposed to outweigh Maverick's experience? P0420 came back on, after a couple days of being in the clear, and I've read that it's most likely a bad cat. Other than backfiring a little more when driving (invidia n1 axel back) I haven't noticed anything else, as far as my cat being bad. I don't smell fuel from the pipes. This code would effect engine performance because the second sensor would communicate to the first sensor an excess amount of fuel after the cat, which would make the car run lean to compensate right? Been looking into this mod and doing what research I could. I'm looking to get a high flow cat sometime, but like the op said, I don't want this code to overshadow other codes that might come up. That and it does shne like a sun at night lol. I've looked up emission reqs in Texas and I'm pretty sure I'll pass. My upstream o2 is fairly new (20k miles on it) so I don't think it's the o2..
Planning on getting my engine read tomorrow and possibly doing the mod. TWM Short Shifter, AEM CAI, Invidia N1, More to come eventually! The second I saw this thread I immediately planned on posting "the double defouler mod works to", but much to my enjoyment I see that I already posted it 2 years ago. At any rate, I have been running the double defouler mod since before my last post in this thread, and the code still hasn't come back. I think it cost me $2 at advanced auto. So in terms of simplicity and durability, I would recommend the double defouler mod. I did this RC LOW PASS FILTER mod. It reset all CAT flags and turned off the CEL P0420 permanently. The blue wire is the signal line. The white wire is a signal reference line with 0.57 V level. The positive terminal of the capacitor has to go on the BLUE line for the circuit to work. The negative or ground lead from the CAP is grounded to the CAP's case, and must go on the white ground wire. If you buy a non-polarized CAP, both leads are isolated from the case, so it does not matter which one goes on which wire. Since the ECU is measuring the voltage from the O2 sensor, you definitely have to have this CAP across the blue and white wires for the ECU to read a lower voltage. The 1 M ohms RESISTOR has to be in series on the BLUE wire, between the O2 sensor and the CAP to bleed off the current discharged by the CAP. The 2 black lines are just heating power to heat up the O2 sensor to 600F for it to work. just leave them as is. 1. raise the car about 12 inches to have access under the CAT. 2. Strip insulation on the BLUE and WHITE WIRES, about 6 inches away from the O2 sensor 2. 3. Wrap the leads of the CAP on the wire, the CAP's POSITIVE lead goes on the BLUE wire. Solder or crimp the leads securely. 4. CUT the BLUE WIRE between the CAP and the O2 sensor 2, and connect the cut in line with a 1M ohms, 1/4 watts RESISTOR. Solder or crimp the connections securely. 5. Tape up all connections separately and securely to prevent shorting. Then tape up all exposed wires securely. The Low Pass Filter did reset all 3 CAT flags, allowing SMOG test to proceed. In California, pollutants are measured at the exhaust pipe. So if your CAT is decent, you have a chance to pass. If you CAT is shot, it will fail SMOG test. Last edited by PETER PAN 2009; 05-21-2014 at 07:28 PM..
You have to use 2 non foulers adapters at the O2 sensor 2? Yea. They come in a pack of 2. I think you need the 18m kind. There is a thread about it somewhere. You just screw them in and screw the sensor into them. And that's it. Super easy. Add an electronic LOW PASS FILTER to slow down crossing frequency of the Oxygen sensor 2. I tried the RC LOW PASS FILTER. adding a 0.47 uF CAPACITOR across the blue and white wires. The CAP positive wire must be on BLUE, negative on WHITE. Then splice in a 1M ohm RESISTOR on the blue wire, in series, between the CAP and the OXYGEN sensor. This is a simple RC low pass filter with sampling frequency about 30 times per second. It should send a low signal most of the time about 30 times per second (30Hz frequency)to the ECU, which indicates the CAT is working. In California Smog test has to be done with a pollution measurement in the tail pipe. So while CEL is off, the car may not pass pollution test. Worst case would have to replace the CAT with a $200 MAGNAFLOW cat. Dealer wants $1300 for TOYOTA OEM part. Took the car to the Smog test station. This Low Pass Filter fix did reset all 3 flags on the CAT, allowing smog test to proceed. The car passed SMOG test 2 borderline pollution. The CAT was still good. It's just TOYOTA ECU would raise the flags when the CAT is down to 80% efficiency. It would cost about $300 to install a MAGNAFLOW CAT which is known to last only about 20K miles. This is a good fix. Highly recommended. After the dreaded P0420 kept popping up. I finally did the MIL Eliminator MOD yesterday. Big Thanks to dachusa and everyone who contributed to this thread! NOTE: At this point it is worth noting on my GT (2000) the sensor wires were Nickel Alloy and solder would not take to them no matter how hot the iron! I made a physical connection by wrapping the resistor lead around the stripped wire. The solder adhering to the component leg made a good physical connection but did not truly stick to the wire! After subjecting the resistor to abusive heat I checked its value. Heat shrink sleeving for insulation and a little extra strength on those crappy joints. Last edited by Robin Taylor; 06-04-2014 at 04:22 AM.. Reason: typo! Robin did a good job with this fix. Thanks for the documentation and the pics. I used 0.47 uF cap and the crossing frequency was calculated to about 33 Hz. Robin uses 1uF, the crossing frequency would be about 15 Hz. If you use a polarized cap, whose negative wire is grounded to the case, then that wire has to be on the O2 sensor's white wire. Instead of soldering, which is a PTA, you can use metal crimps to connect the wire. Just cut out a few strips of an Aluminum can, roll them up into small tubes, insert all the wires into the tubes then squeeze it hard with a pair of pliers in a few places. My fix work beautifully in 2 GTS. The ECUs now seem to run the right mixture; the engines just sound sweeter. I am planning a full stainless decat setup up asap as my stock exhaust is about to fall off. is the latest demo above just for the 2 gts or would this be suitable for my 2001 celica 190bhp? I am a little confused whether the capacitor bridge is required as older posts state it isnt. Thanks again for your help in advance guys. After several weeks of a recurring po420 code I did this mod and passed NH inspection. 500+ miles with no CEL. 2000 GT 189k with oil burning issue. All pollutants are lower than last test, some reduced by half. That means the engine in running better than before with the PA0420. "NOTE: At this point it is worth noting on my GT (2000) the sensor wires were Nickel Alloy and solder would not take to them no matter how hot the iron! I made a physical connection by wrapping the resistor lead around the stripped wire. The solder adhering to the component leg made a good physical connection but did not truly stick to the wire!" You need the right flux for that. I had no problem with "Bridgit" Burn resistant soldering flux. The solder flowed fine and made an excellent joint. I used barrel crimps instead of solder. In fact Denso includes barrel crimps with replacement sensors. They work OK both inside and outside of the car near the CAT. Just tape them up carefully to avoid moisture to creep in and do damages in long term. I did this mod two years ago to pass smog. It worked like a charm for about 1,000 miles (it may have only been 500 miles, I forgot), then I got code PO136 - Oxygen O2 Sensor Circuit Low Voltage (Bank 1, Sensor 2). That code came back every 30-40 miles when I'd clear it so I eventually left it alone. Initially it kept my CEL off long enough to pass last time and that was my main concern but now I gotta pass smog again. Any ideas what to do? The electrical connections may be bad, adding resistance to the line, causing a drop in voltage. Redo the connections by soldering or crimping. I already have them soldered, but I'm not that good at it so I'll try again. I'll replace the resistor too. I missed an earlier post that said they can go bad if you overheat them while soldering. Also, I just googled PO136 last time and copied/pasted that bit about low voltage, but that was for another make/model apparently. 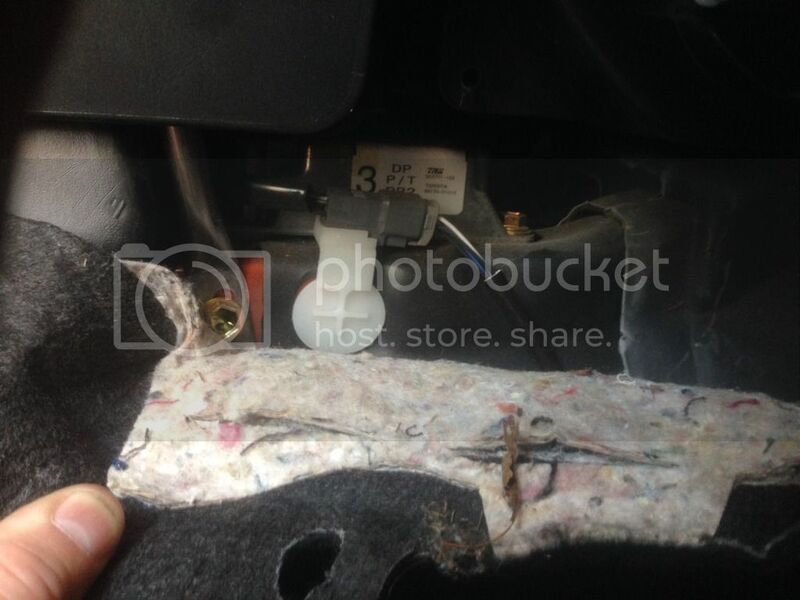 For Toyotas, PO136 is: "O2 Sensor Circuit Malfunction (Bank #1 Sensor #2)" so not necessarily low voltage. I'll still resolder and put a new resistor on, but any idea what else it could be if that's not it? For Toyotas, PO136 is: "O2 Sensor Circuit Malfunction (Bank #1 Sensor #2)" so not necessarily low voltage. I'll still resolder and put a new resistor on, but any idea what else it could be if that's not it? Rodents eating the wire/insulation caused this code on a Prius I helped work on. Here are two of the OP images enlarged; for some reason they are the thumbnail versions in the first post. If someone has this issue elsewhere, you can replace the word "thumb" in the image URL with "medium" to see a less microscopic version. Anyway, I look forward to cutting and soldering some wires. The ECU sees the O2 sensor bank 1 sensor 2, after the CAT as not working. The O2 sensor could be dead. It could be the R C values, or their solder connections, cause low voltage levels on the signal sent to the ECU. check the R C and the solder joints for any damages. Replace the RC and redo the solder joints if neceessary. If that still fails, test the O2 sensor for voltage output. 203000 miles and still no po420. This RC fix will not work on V6 engines. A double extension added to the aft O2 sensor will work immediately, eliminating CEL PO420, but not sure how long it will last. Actually, the PCM is looking for a rich condition after the cat and slow (if any) cross counts. The catalytic converter uses left over fuel and heat, combined with available oxygen to further complete the combustion process and produce carbon dioxide and water. This will show as a rich condition or about .6-.7 volts pretty steady on a rear o2 sensor. Also, an o2 sensor actually measures the absence of oxygen, so calling it a "rich" condition is kind of a misstatement (as it actually just means lack of oxygen, not necessarily excess fuel) but that's what the tech community calls it. Last edited by guitarofozz; 08-12-2015 at 02:47 PM.. Cloud Hosting - Wrinkle Free I.T. Inc. So its the same for the vibe. Its located on the passenger side of shifter under the carpet. Here is my photo of the mod almost done. I soldered the wires, hot glued over the solder and then taped over that and put the carpet back. Adding this RC network to the O2 Sensor 2 line will reduce the frequency of high O2 level in the exhaust gas at the sensor 2, therefore fooling the ECU into thinking the CAT is working perfectly. It seems to work for 4-cylinder engines. I tried it on V6 engines in Lexus and Mitsubishi cars and it did not work. A simpler fix would be to add a spark plug extension to the O2 Sensor 2 so it sees less Oxygen in the exhaust. You can buy the plug extensions in any part stores. What if there is no where to bolt the sensor in? The previous owner plugged and welded the o2 bung. I have everything required to make a complete eliminator, but I'm not sure how everything should interconnect. Nice write up and follow ups. If anything, your simple breakdown helps us to understand how our cars work. As you have stated in the beginning, this is for informative purposes only. But it's always nice to see what can be done withour cars. This is 2018, and this car still looks great next to some of these modern cars. It's amazing how other owners have really modified their cars to make it their own. That's why i'm always here, to find out what works and what doesn't work. Thanks members for sharing your ideas!! California DMV is cracking down on mods to O2 sensors.